The IARU amateur radio satellite frequency coordination panel has announced the frequencies for the OSSI-1 CubeSat developed by Hojun Song DS1SBO. 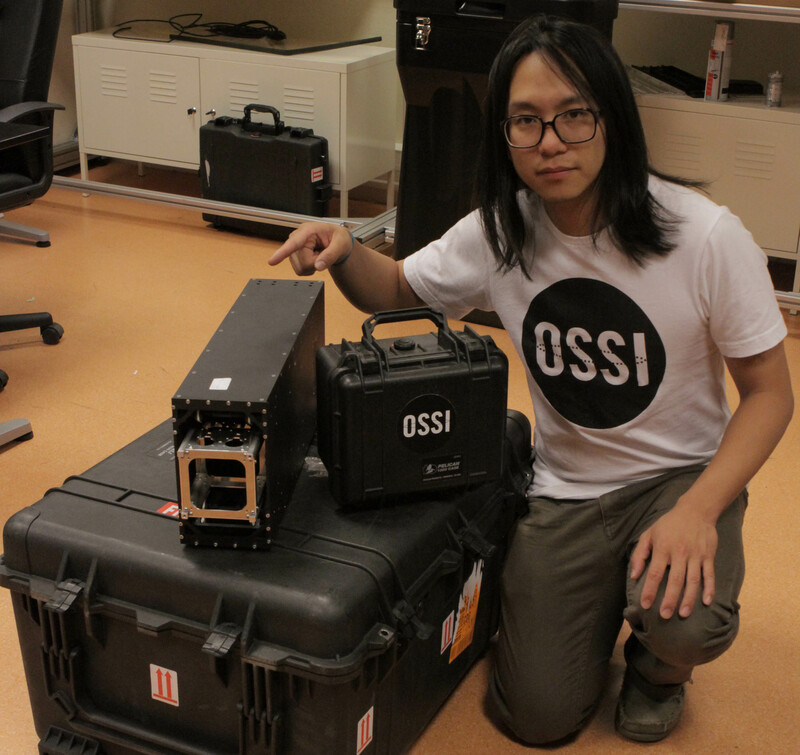 Artist and radio amateur Hojun Song DS1SBO has spent 7 years developing his Open Source Satellite Initiative satellite OSSI-1. He has designed and developed it from scratch using readily available components rather than expensive space qualified hardware. It has a beacon in the 145 MHz band, a data communications transceiver in the 435 MHz band and carries a 44 watt LED optical beacon to flash Morse Code messages to observers on Earth. OSSI-1 is planned to launch on April 19, 2013 into a 575 km 64.9° inclination orbit on a Soyuz-2-1b rocket from the Baikonur launch facility in Kazakhstan along with the Bion-M1, SOMP, BEESAT 2, BEESAT 3 and Dove-2 satellites. The IARU amateur satellite frequency coordination panel has announced frequencies for a downlink on 145.980 MHz and an uplink/downlink on 437.525 MHz.